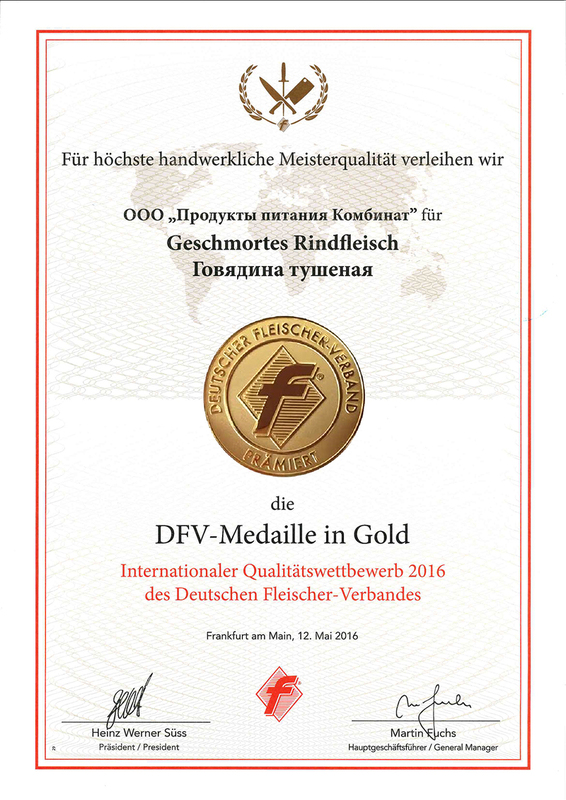 May 20, 2016: “Produkty Pitania” Company group won 6 gold medals and the Cup of the German Butchers' Association for high quality products at the international trade fair IFFA-2016 in Frankfurt am Main! 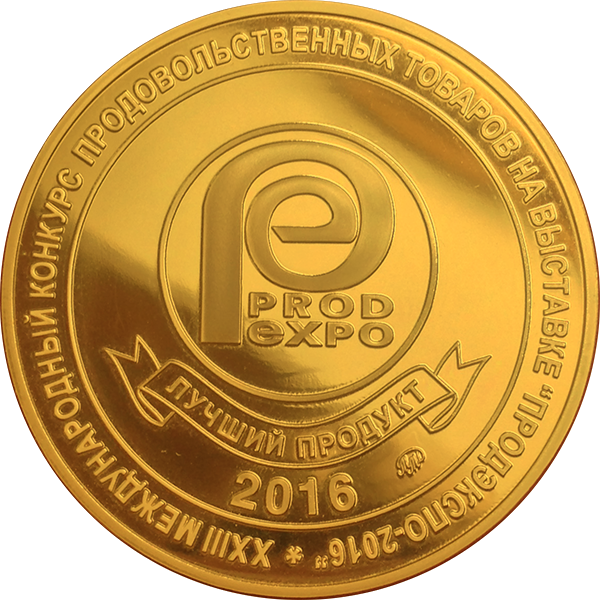 Within the largest Russian exhibition of food products “Prodexpo-2016” international competition “the Best Product – 2016” was held. The winners were selected by an expert commission based on the results of the tasting contest among dozens best manufacturers. 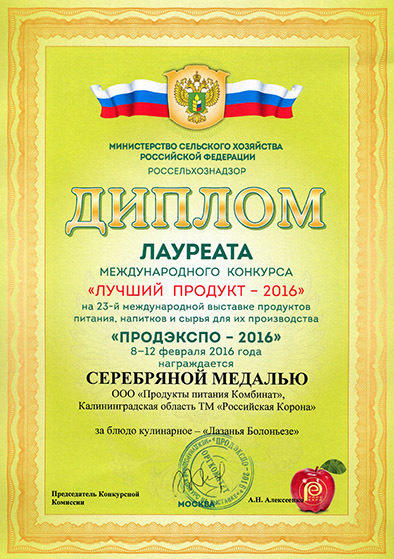 On the 10th of November, 2014 according to consumers’ voting results the trademark "Zolotoy Petushok” for the second time won the "No.1 Brand" award in the category frozen processed food (consumers’ survey "National trademark")! 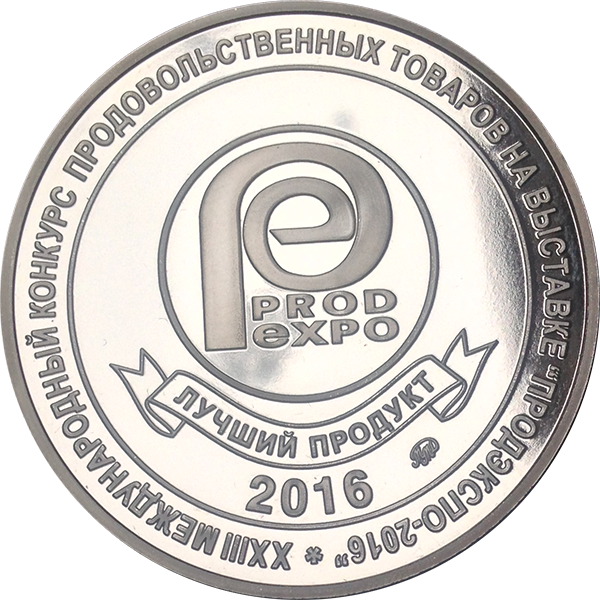 On the 11th of October, 2014 according to the results of "Agrocomplex 2014" exhibition ООО "Produkty Pitania Kombinat" was awarded a diploma "The best Kaliningrad product 2014 in the nomination "Natural product" - “Chicken nuggets "Traditional”, "Chicken breast fillet", Nuggets "Vkusnyashki" by "Zolotoy Petushok". 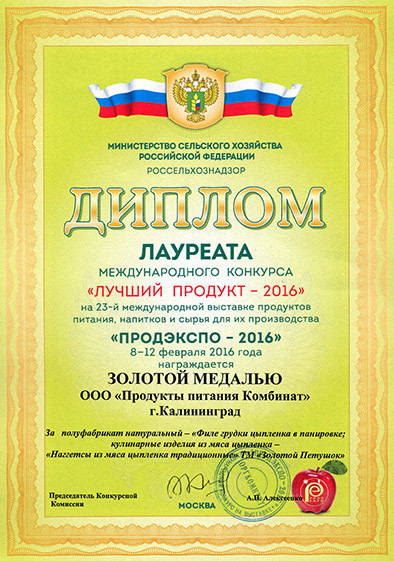 ТPC “Baltpticeprom” received a diploma in the group "Meat products" in the nomination "The best traditional meat product" – sausages “Fileinye”, half smoked sausage "Prusskaya". 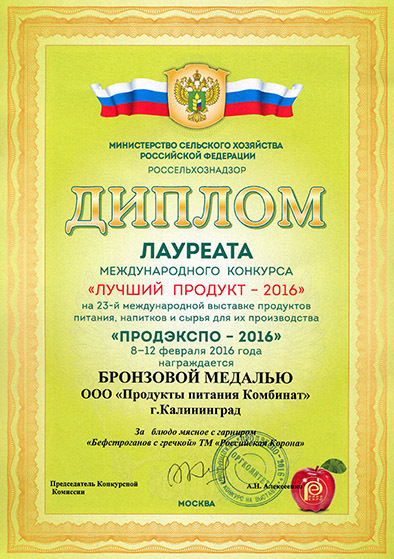 "The best Kaliningrad product of 2013” in the semi-finished product category for Rossiyskaya Korona trademark - "Zharkoe po-domashnemy"
"The best Kaliningrad product of 2013- in the meat products group"
Podukty Pitania won gold at the "Frozen Food - 2012". According to December 2012 consumer voting results, Zolotoy Petushok is the “#1 Brand” in the category of Frozen Convenience Food! 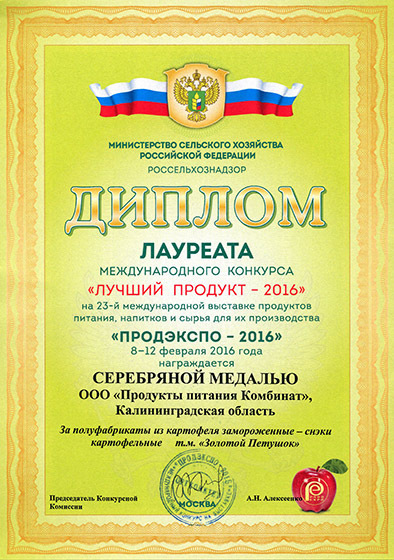 "Produkty Pitania" exhibited at "Agrocomplex 2012" on October,20, 2012, and received awards for "Great product assortment" and "The best Kaliningrad Product - 2012" from the products - "Goulash with macaroni" and "Azu with mashed potatoes" (Rossiyskaya Korona trademark). "Chicken breast fillet, pieces" by Zolotoy Petushok won gold and "The best in show" product at the taste showcase "KAZ-Food-2011​" in Kazakhstan on October 21, 2011. 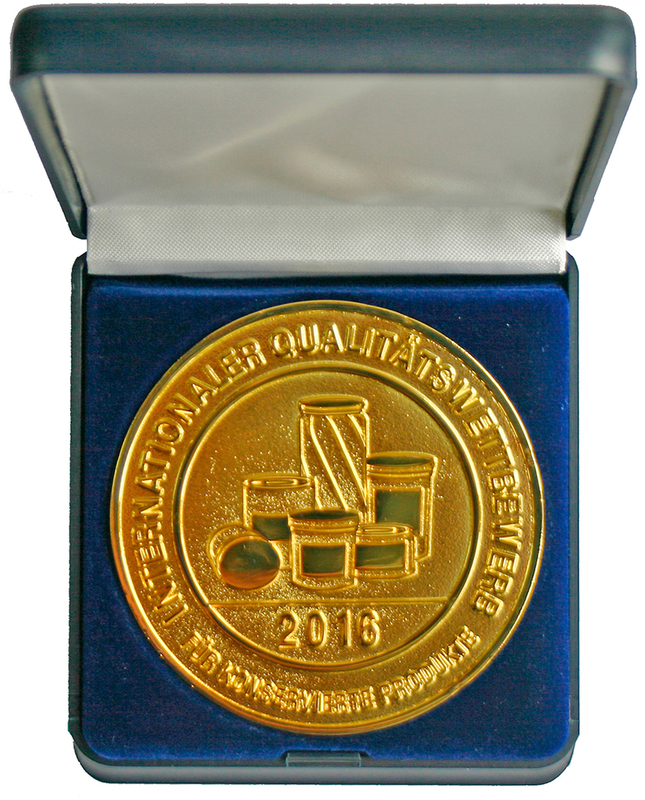 Produkti Pinania won Gold at International Trade Show "Prodsib-2008" on December 11, 2008. Chicken breast fillet, Grilled wings, and Chicken, various shapes by "Zolotoy Petushok" were leaders in "Best quality and innovation" category. 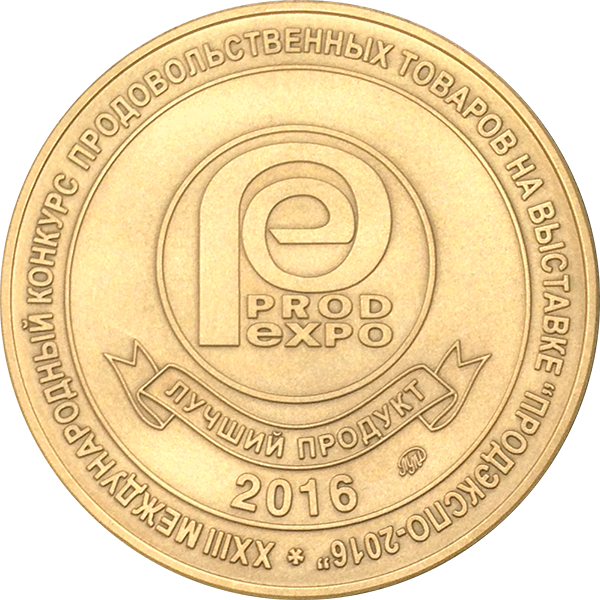 On December 11, 2008 Produkty Pitania took part in trade fair PRODSIB-2008 and received the Big Gold Medal at the Siberia Fair in recognition of High quality, original taste and attractive appearance of chicken meat products. The following three products were recognized at the event: Chicken Breast Fillet, Grilled Wings, and Shaped Chicken Pieces in Breading. The wonderful taste of the “Chicken-in-Bread-Crumbs Cordon Bleu” won the golden medal and the “Best Product’ 2005” diploma at “PRODEXPO’2005”. The silver medal and the “Best Product’2005” diploma were awarded to the “Filled Cheese Straws in Bread Crumbs” for their high quality. 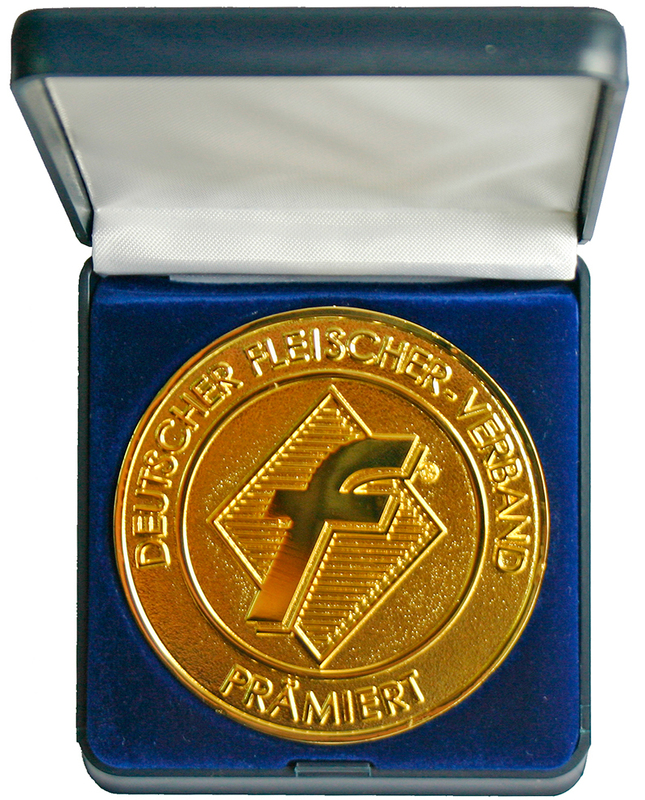 The golden medal of the “Zolotaya Osen’2004” exhibition for the choice quality of the “Tenderloin Balls with Cheese/Ham Filling” and of the “Chicken Tenderloin Pieces in Bread Crumbs”. The Company’s name entered in the “Green List” of the Russian Office of the Greenpeace signifying that the Company’s products are entirely non-GM. The diploma of the Moscow Consumer Protection Society “For Contribution in Formation of Civilized Consumer Market in Russia”.